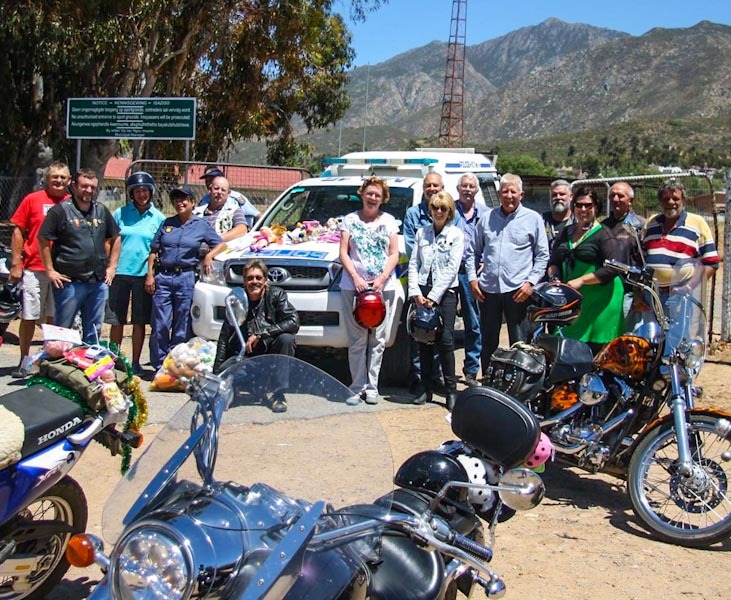 The annual "Toy Run" organized by the MMA (Montagu Motorcycle Association) took place on 13 December 2014. Riders gathered at the Montagu Leiwater Dam (known to some as the stinky bird tree) on Saturday morning with a bakkie load of toys and clothes. The "Baby Bunch" (Montagu moms) donated nine maternity bags full of newborn clothes and other essential things for little ones. Six large bags full of toys were donated by Montagu locals to children in the Pediatric Ward at the Montagu Hospital and at the trauma room at the local Police Station. Clothes and toys were also delivered at the Centre of Hope. Huge thanks to every person who opened their heart and donated gifts to people in need.